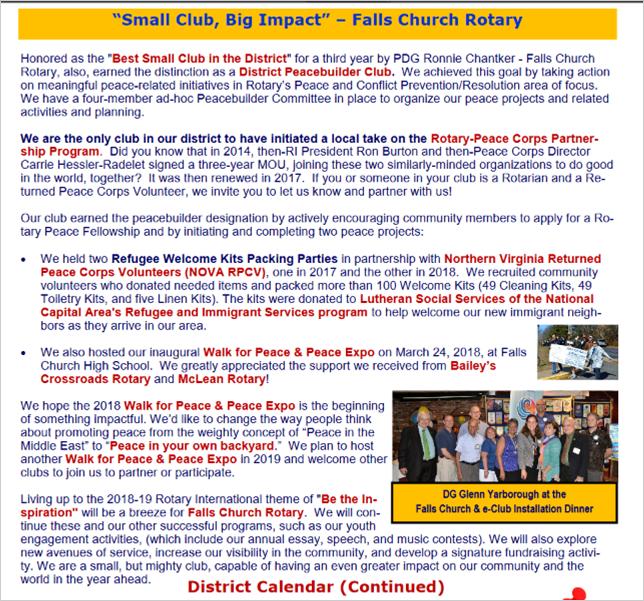 Falls Church Rotary: "Small Club, Big Impact!" 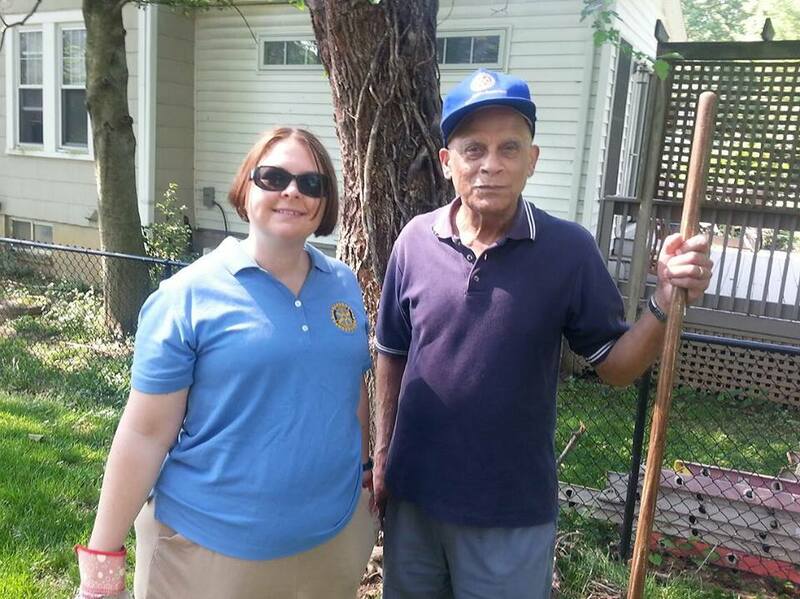 Celebrating Service Above Self since 1952! 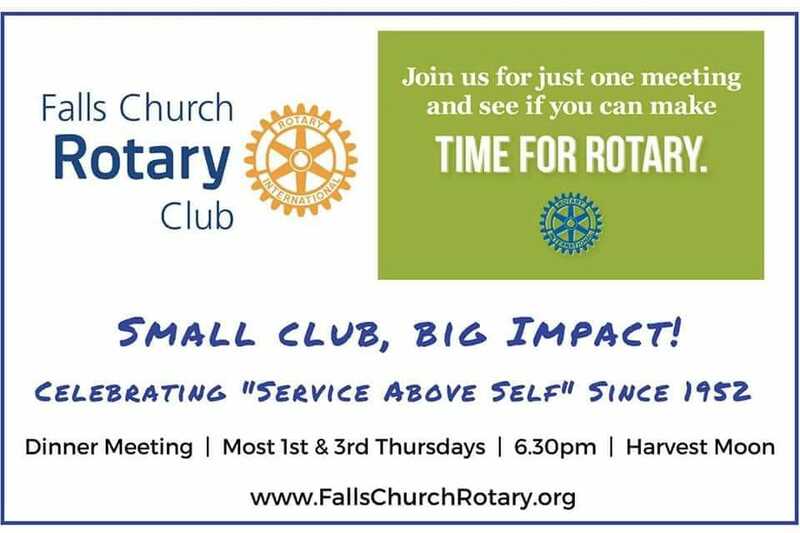 Meets most 1st & 3rd Thursdays 6:30pm. Check our meeting schedule for other variances. Dinner $15. 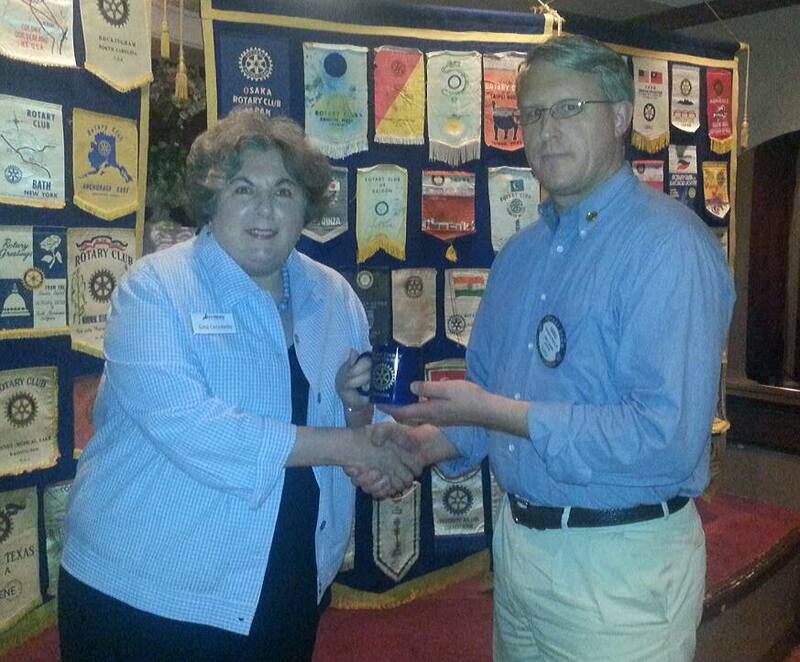 Welcome to our newest club member, inducted at our Sept. 1 meeting! 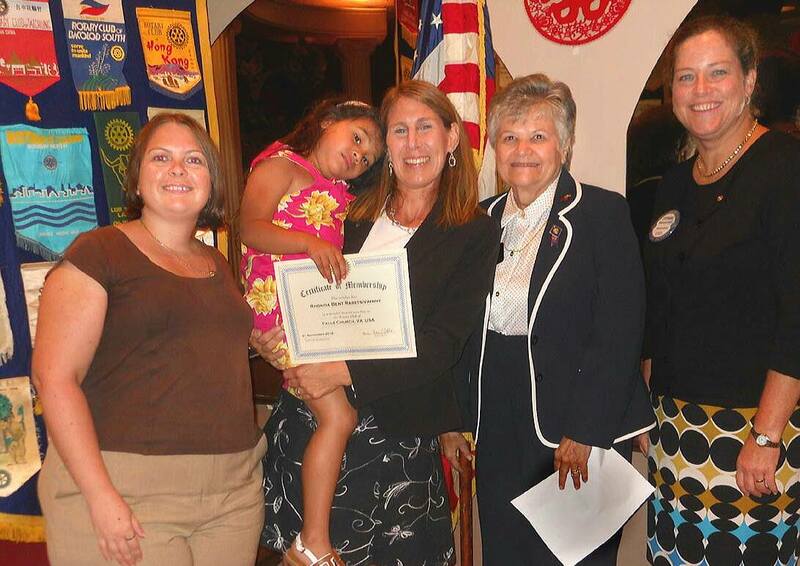 Pictured at center, Rotarian Rhonda "RJ" Bent, holding her young daughter Aina Elizabeth. 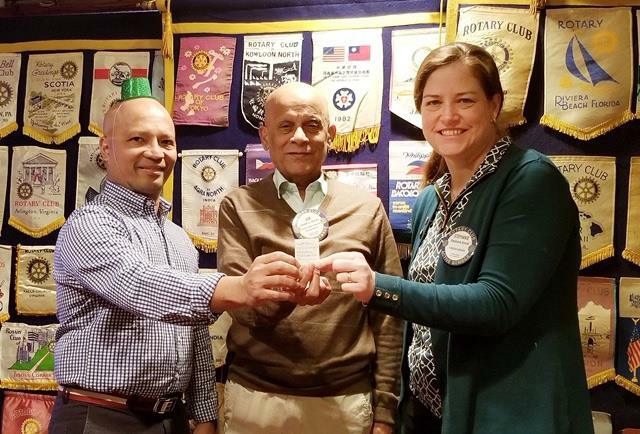 With (l to r) Falls Church Rotary Club President Erica Brouillette, Assistant District Governor Suzanne McDougall, and Club Membership Chair Stephanie Arnold. 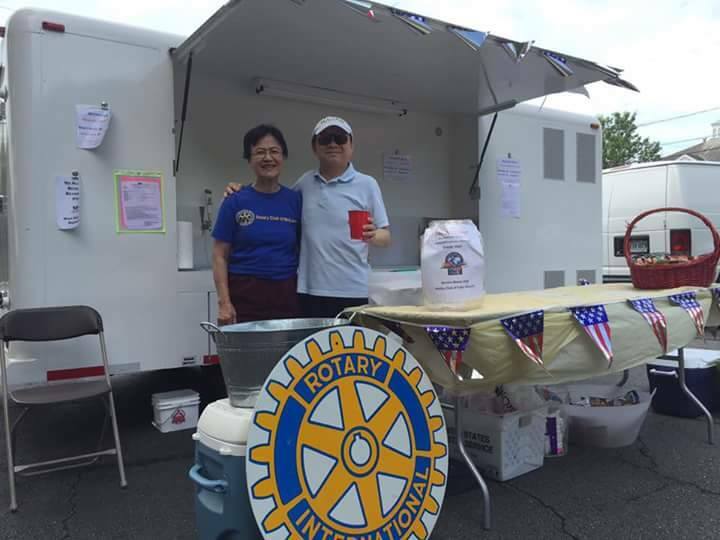 RJ recently moved to Falls Church and contacted the RI website with a membership query because "in my world travels with my work, friends have always been telling me I would enjoy Rotary. And the dinner meeting time is perfect." 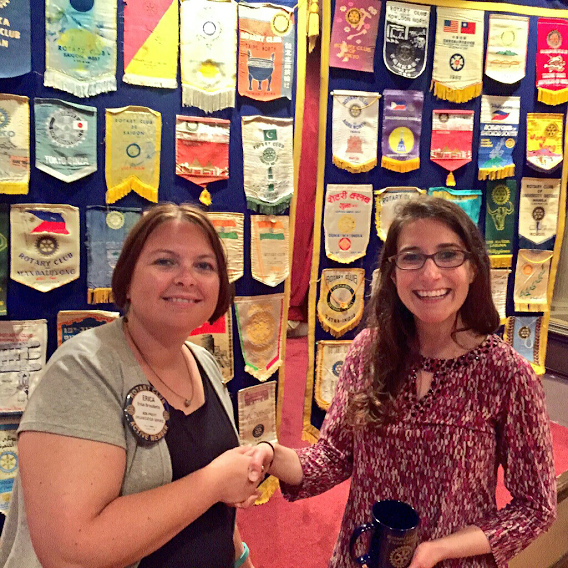 We are so glad to have her join our club! 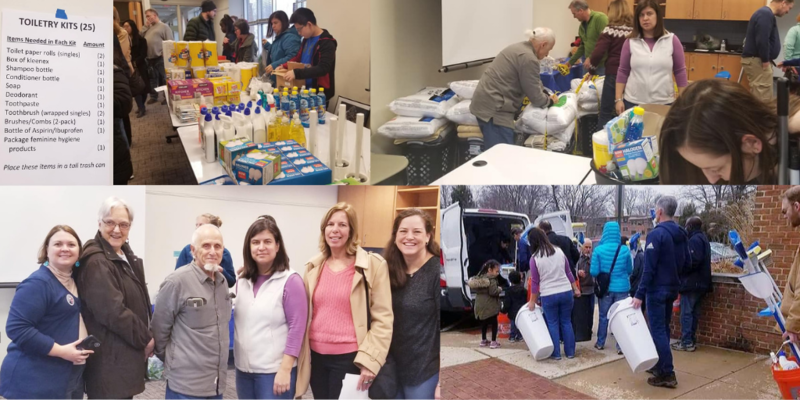 Our club is proud to be #RotariansServingHumanity, supporting important local causes lifting families out of poverty -- including a $1,000 gift in August 2016 to Homestretch, based in Falls Church City. 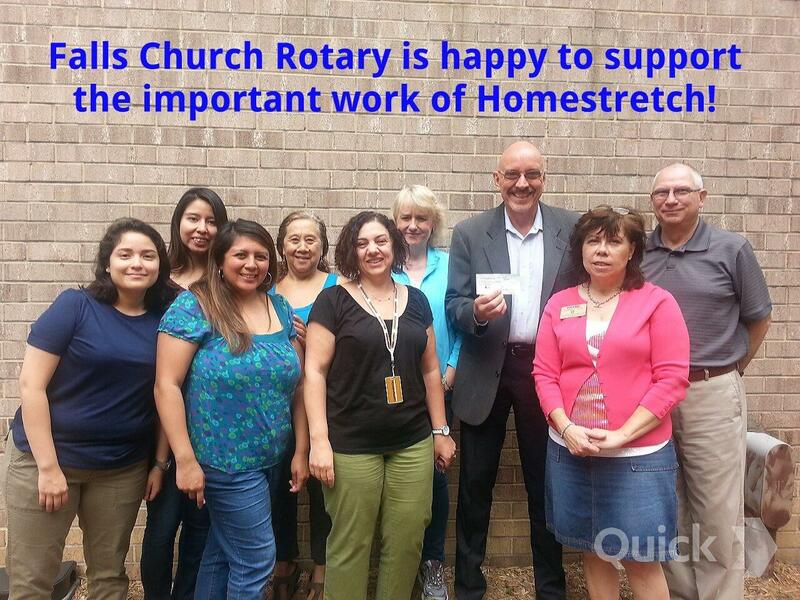 Pictured outside their office are staff members Fatima Paniagua Emestica, Fabiola Alba, Alejandra Carrera, Norma Guerrero, Buthaina AbuBader, and Nan Monday with Executive Director Christopher Fay; Diane Hill, Past President of Falls Church Rotary Club, and Homestretch Development Director Ken Bradford. 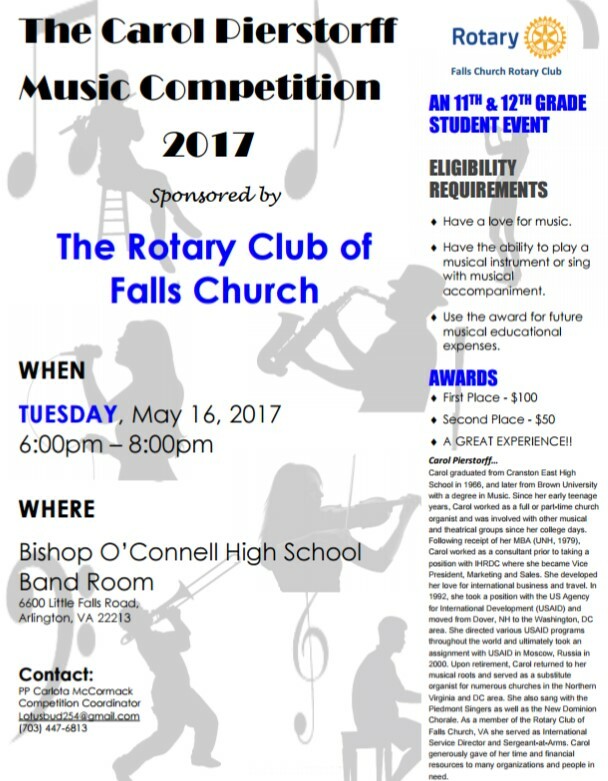 Best Small Club in District 7610! Wow! 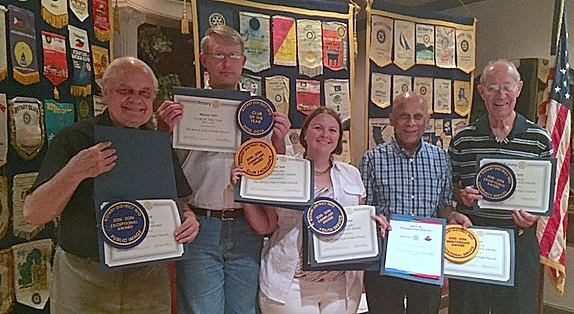 Our Rotary Club of Falls Church VA received lots of honors for #ServiceAboveSelf during Rotary Year 15/16 -- including "Best Small Club" of #RotaryDistrict7610! (that's 2 years running). 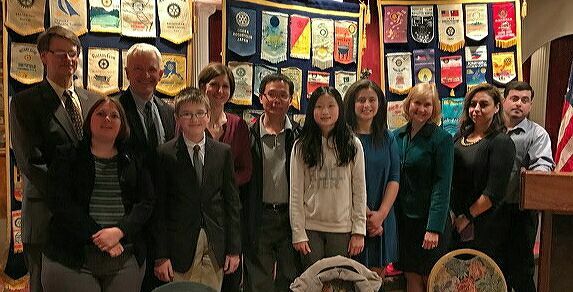 From left: Club Secretary PP Joe Scheibeler, Club President RY 15/16 Greg Viola, Club President RY 16/17 Erica Brouillette, PP Joe Akarra, and Club Service Chair Dr. John Karickhoff. Sat., Aug. 20 - Community Brunch at Willston Multi-cultural Center, partnering with The Veterans Pantry. Oct. 6 = Dinner at Harvest Moon. 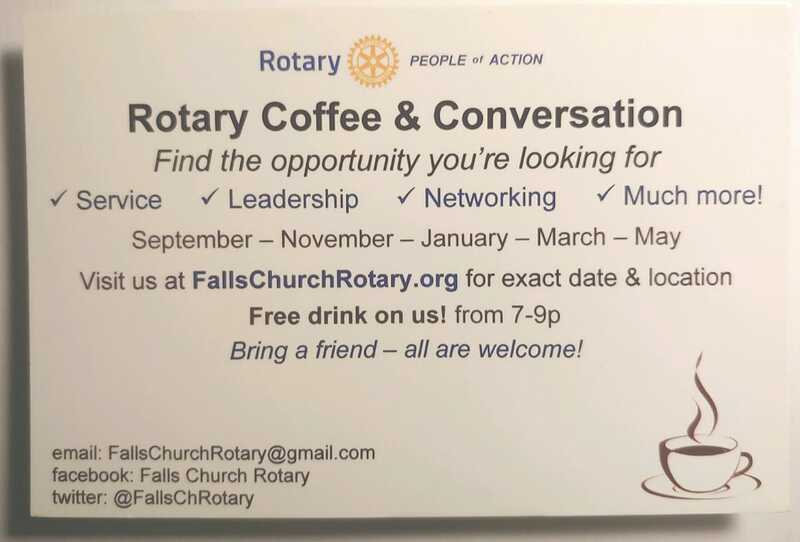 Program: All welcome for a Business Networking Mixer (tentative). 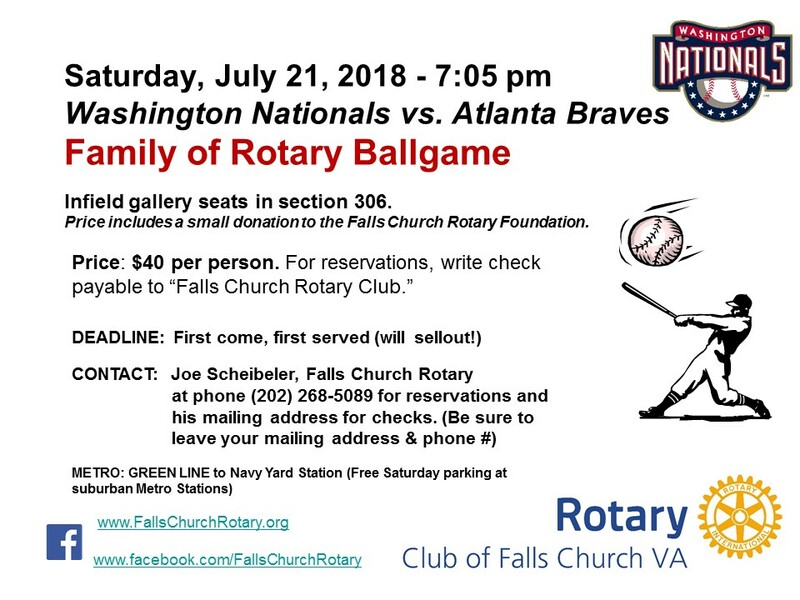 Aug. 6 = District End Polio DC United Soccer Game vs. Philadelphia ($26). 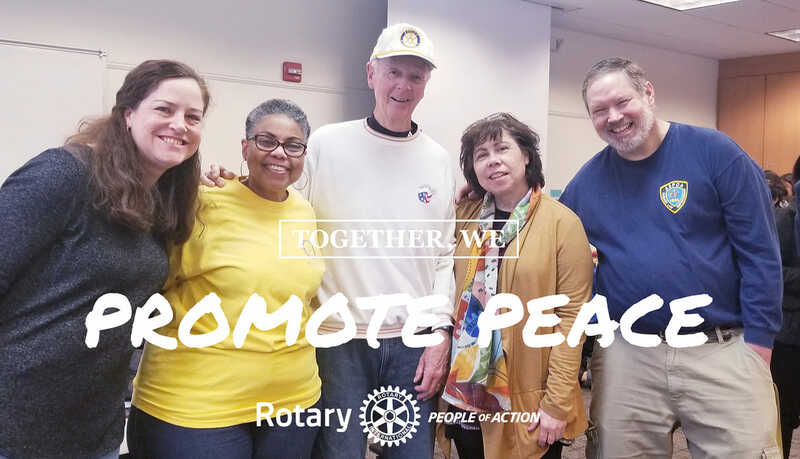 See www.rotary7610.org District calendar. 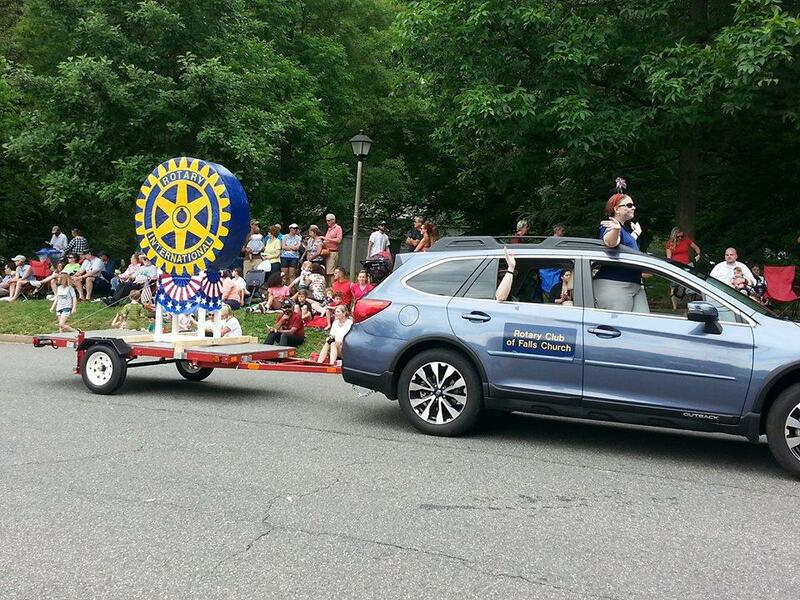 Aug. 30 = Rotary Times TV Broadcast Taping, at Fairfax Public Access station. For info, email Producer Ahmed Selim via the club email address. 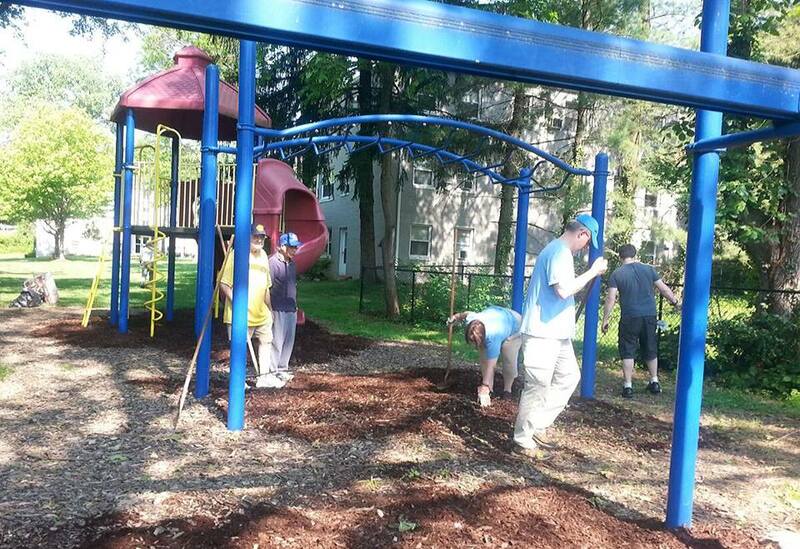 Oct. 1 = Falls Church Community Cleanup of our Adopted Street in downtown Falls Church. 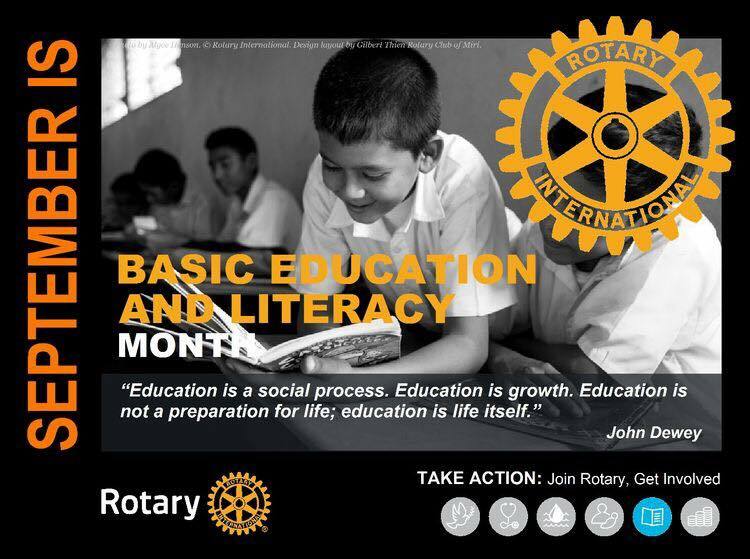 Nov. 12 = Rotary UN Day, Bus to NYC. 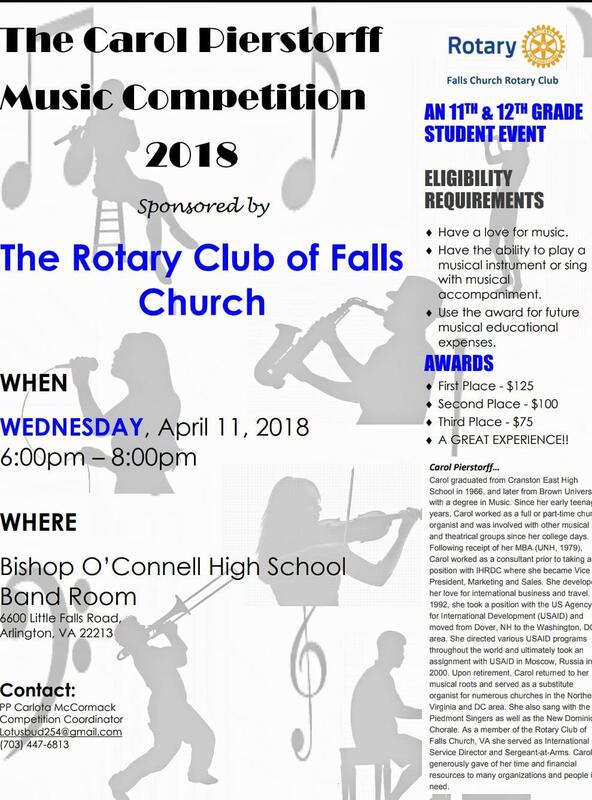 Info at District calendar. 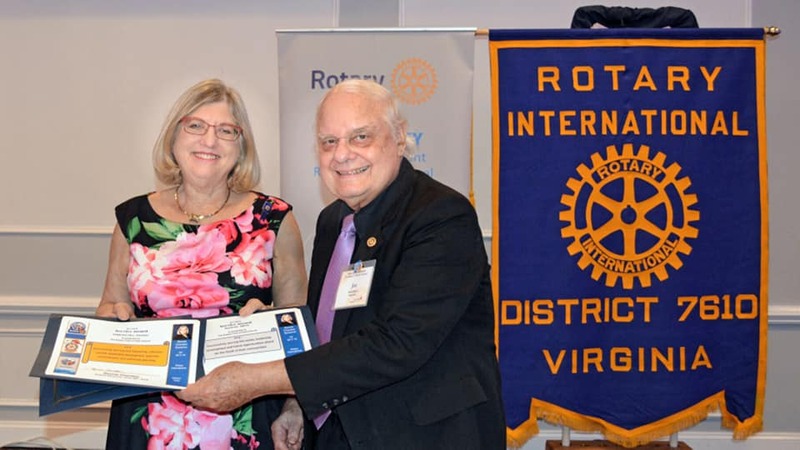 PRS was presented with a gift from the Rotary Club of Falls Church VA on July 27, 2016, to support its Hope Fund! 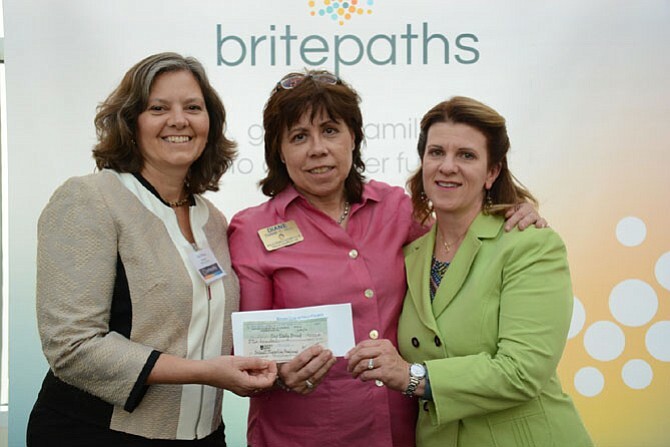 "We are so grateful for this funding which will provide PRS Services to community individuals who would benefit from our services but do not qualify for public assistance such as Medicaid," says Executive Director Wendy Gradison. 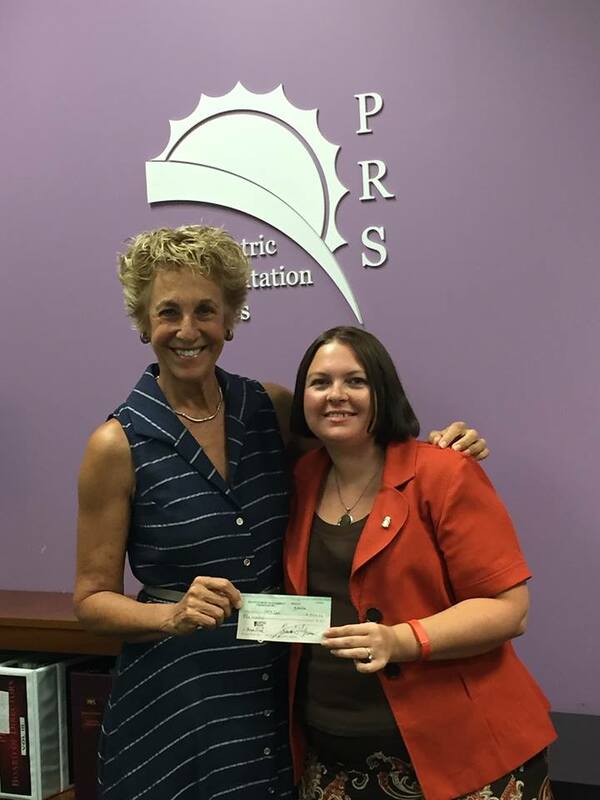 "We extend a special thank you to club President, Erica Brouillette, for her long-term partnership with PRS." 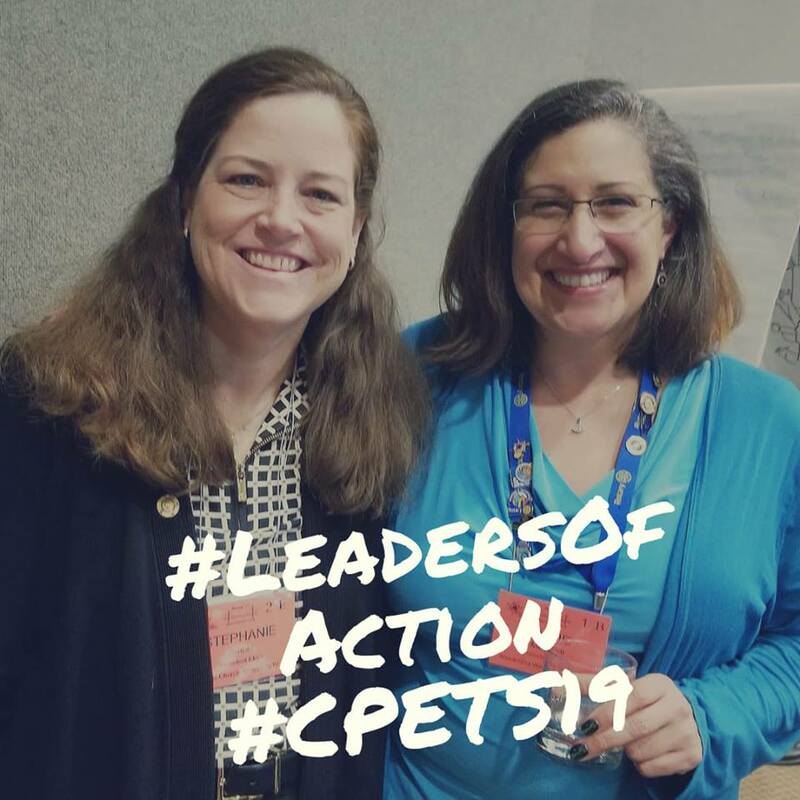 Wendy is pictured at left with President Erica. 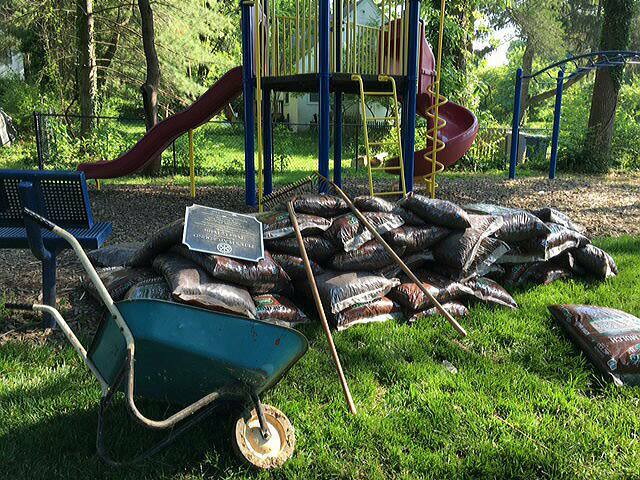 Club in-service day Sat. 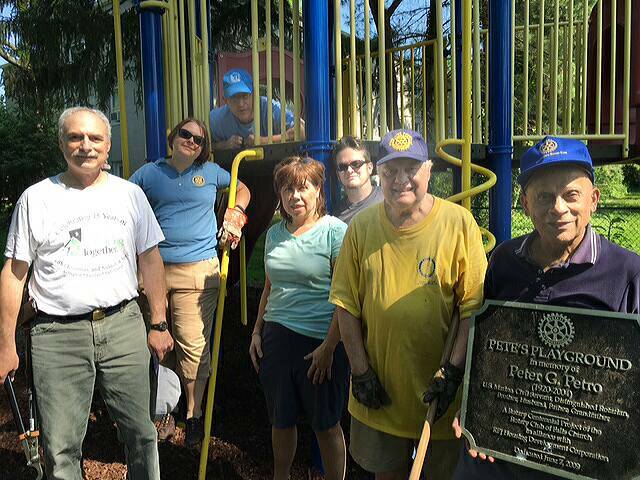 May 28, 2016 -- cleaning up and putting down new mulch at Pete's Playground, which was dedicated in 2009 to the memory of #Rotary7610 PDG and club member PP Peter G. Petro. 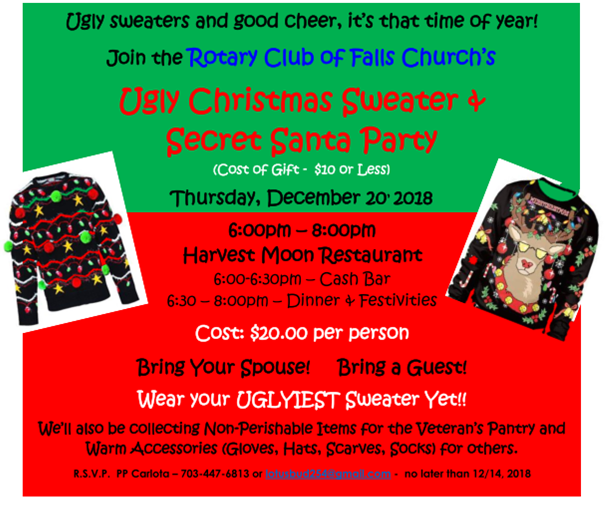 Past Pres. Doug Dreyer, Pres. Elect Erica Brouillette, Pres. Greg Viola (above), Past Pres. 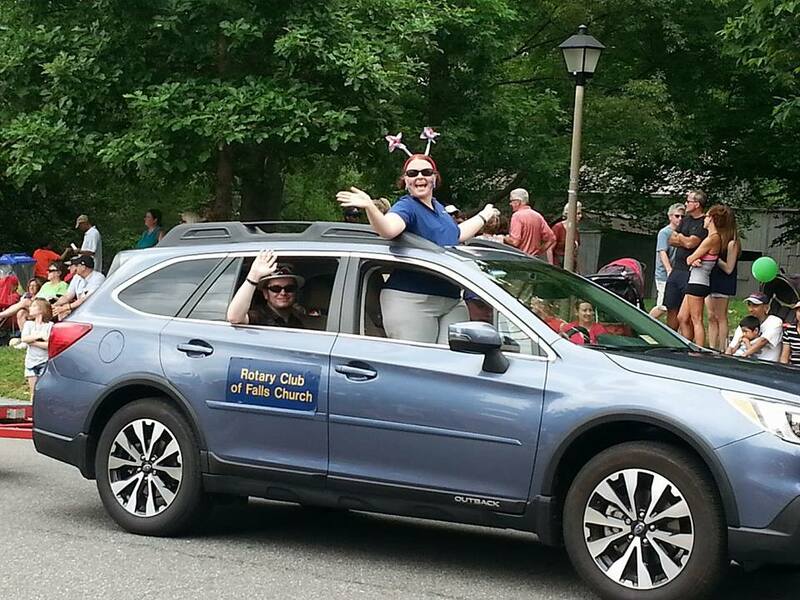 Diane Hill, Erica's husband Kevin, Past Pres. and now Secretary Joe Scheibeler, and Past Pres. Joe Akarra. Not pictured (as he was taking the photo): Rtn. Dr. John Karickhoff. 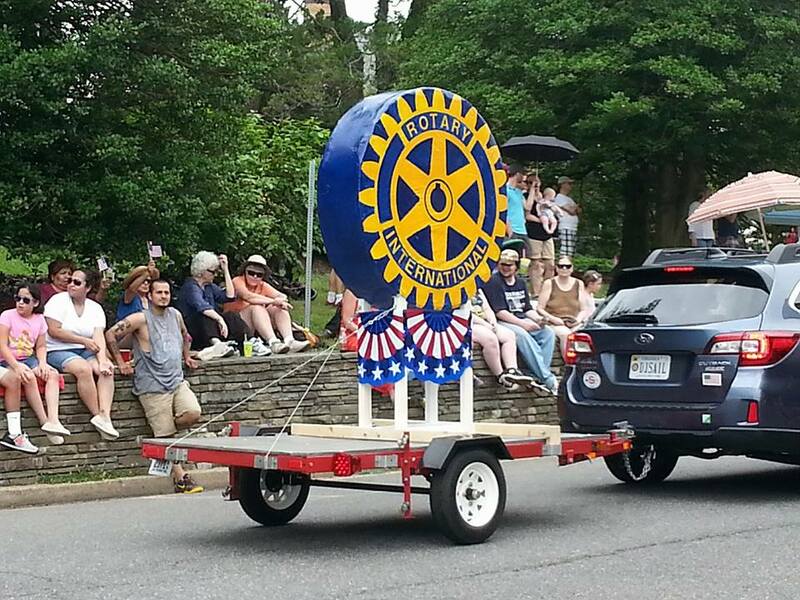 Photos from the 2016 Memorial Day Parade in Falls Church City: Our club float with the big #Rotary gear logo in the city Memorial Day parade! That's Pres.-Elect Erica Brouillette waving. 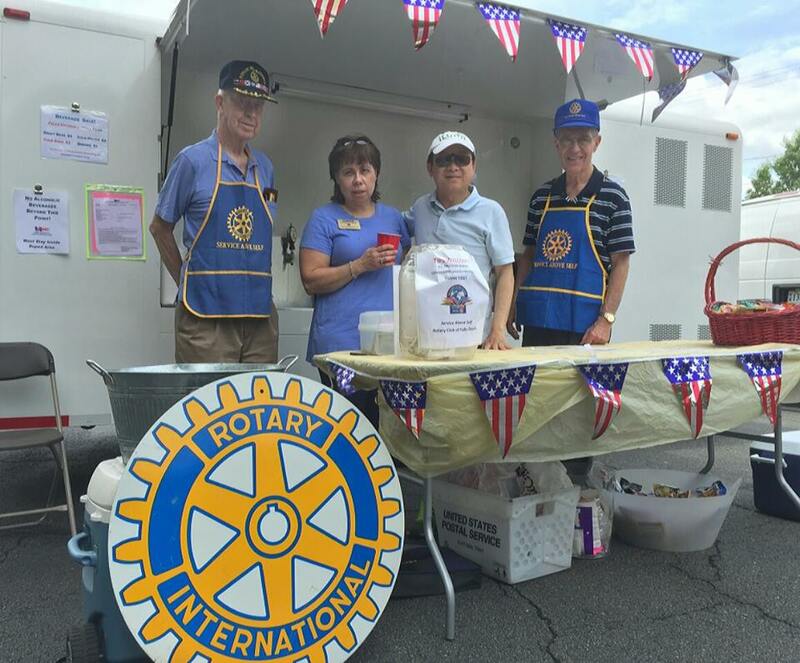 Also photos of our annual Beverage Sale fundraiser along the parade route -- including cold sodas and cold draft beer!